As you or your loved one gets older, they may be unable to continue living independently. With such a variety of services available for seniors, it can be difficult to choose for your particular situation. Respite care is one option which you may be aware of but not sure exactly what it is and how it can benefit your family. Before you choose a respite care provider or even search for one, you need to understand what respite is, the benefits of this type of care as well as the costs. It’s helpful to know what questions to ask when comparing multiple respite providers before you make a decision. In its most simple terms, respite care is temporary care and/or extra assistance for some one who is handicapped, sick, or elderly. It isa also allows caregivers a break, and it can range from a couple of hours to all day. For paid respite care, you may find options with home health care agencies or other specialized services. Assisted living centers also provide what is known as adult daycare, which is respite for up to a day. It's away from daily cares and gives both adult and caregiver a break. Some families use this option so they can work a full-time job and not leave their loved one alone all day. One of the questions many families have about respite care is what services are provided. Different companies have their own standards by how they define respite care and what qualifies under this umbrella. What many think of is companionship. They assume the respite caregiver comes in and sits with the person for the duration of the visit. The services provided with respite care are what would be considered necessary for time to time so that the main caregiver is taking a break. This may include bathing, dressing, feeding or prepared meals as well as transportation to appointments and other activities. It something that is very helpful if the main caregiver can catch up or take a break until they return or is independent again. What are the Benefits of Respite Care? The primary benefit of respite care is to provide care for a senior person while giving the family or other caregivers a break. A family member may take the time to run errands, go shopping or even take a nap. They can go about their activities knowing their loved one is safe and not alone. For those who use adult daycare respite services, they are able to continue working, which may relieve a financial burden in caring for the family member. A secondary benefit is having a professional monitor the senior on a regular or occasional basis. Even if your loved one attends all scheduled doctor appointments, it’s still a good idea to have a trained professional monitor them for abnormal behavior. Even though family members are often the best resources for determining how the elderly person is doing, it can be helpful to have an outside view. A third benefit to having professional services is that some facilities have a in-house physical therapy service. So if the person is in recovery and needs to start walking again, they have people right there that can help gain their strength back to living at home again. When is Respite Care a Good Choice? The caregiver needs to take a trip to see family or for work, but they cannot take their senior parent with them. They may not have any other family or they need more help than the family can provide. Respite caregivers can provide care during any times when family is unable to help. The senior lives with an adult child and requires a lot of care. The caregiver is falling behind on their own tasks and becoming exhausted because they cannot get a break. Respite care would allow them to run errands, catch up on tasks or rest. The senior is independent and lives on their own. However, after surgery, they are unable to manage all of their daily routines and require the assistance of respite care. 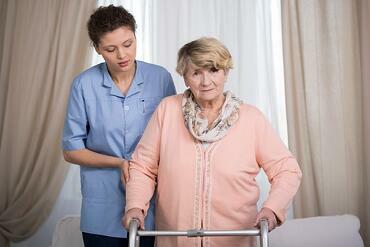 Respite care allows the person to visit a community to determine if they are ready to move to assisted living. They can spend one day there and try out activities and get to know the staff. The goal of respite care is to help provide assistance to the senior so they can remain at home and enjoy a higher quality of life. However, it can also be a segue into a new living situation, an introduction into what an assisted living community is all about before making a long-term commitment. Facing a life change can be easier if the person is familiar with where they will be going. 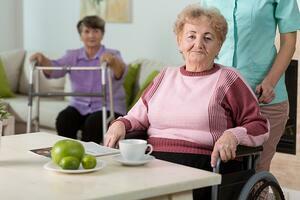 How is Respite Care Different from In-Home Care? Respite care is a unique kind of care for the elderly. Along with the other services that are available, it can help a senior enjoy life longer and even remain independent. However, it’s important to know that respite care is not the same as in-home care. 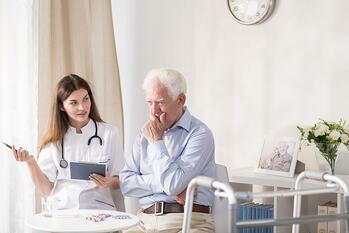 In-home health care can encompass many services, and respite is just one part of them. 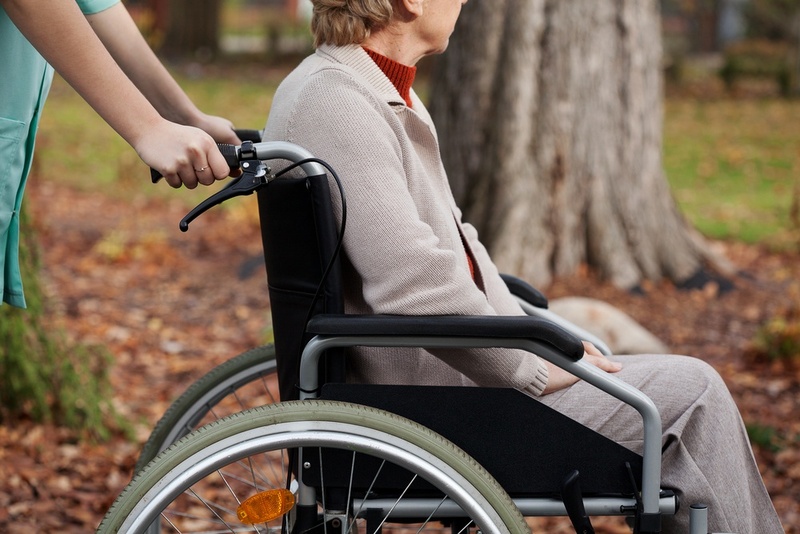 However, respite care can also be performed outside of the home. Therapeutic daycare is one type of respite where the person may stay for up to eight hours a day (or in some cases, longer) for five days a week. Other providers may provide respite care for a few days at a time. Adult daycare is one form of respite care which provides ongoing services for a person for an indefinite period of time. Numerous respite care services exist, making it difficult to choose one for the family member. Before you decide on a respite provider, you should know the differences and understand what to look for. The first decision is if you want in-home respite care or out of the home services. In-home respite providers come to the senior’s home while those out of the home require you to take the person to their location. Within these two categories are many other differences. For instance, recreational respite focuses on involving the senior in the community and activities for increased socialization. They may go to a movie or out to eat at a restaurant. You may find that assisted living communities in Federal Way provide short-term respite care in addition to their long-term care. This option might be ideal if you will be out of town for a few days or longer on vacation. It also gives the family member a chance to get to know the staff and the facility on a temporary basis. When the time comes to move into the next phase of life, they will be less hesitant in choosing a community they are already familiar with. 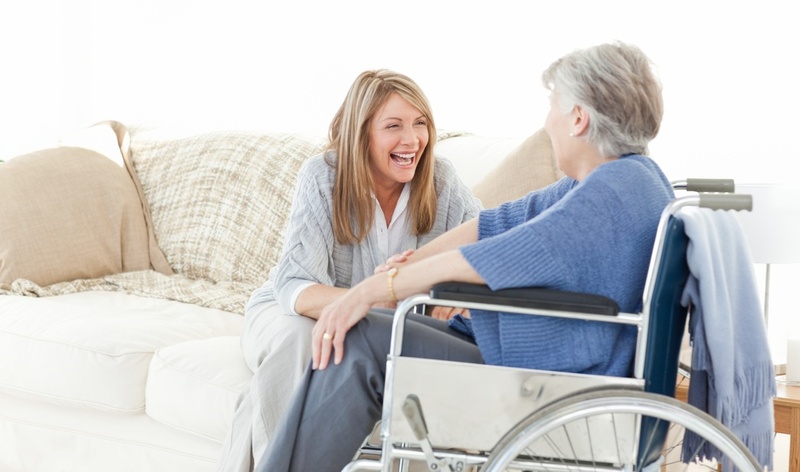 When choosing a respite care provider, you must consider several factors. First, there is the reputation of the company. You want someone with a solid reputation for providing respite care. Don’t assume that just because they are well-known or recognized for other services, they will also be the right place to go for respite. Know your needs. Think about how long you will need respite assistance. Is it for a few hours every day or several days on a one-time basis? What services will need to be provided? Will the respite caregiver need to prepare meals, help with bathing and toileting or other tasks? Or will they be with your loved one mainly as a companion on a “just in case” basis while you are away for a few hours? Answer these questions so you can know what kind of care you’re looking for when you begin to contact agencies. Not all respite care providers will be the same, and the one you select must be able to meet your needs. For example, some in-home respite care providers do not provide personal care. 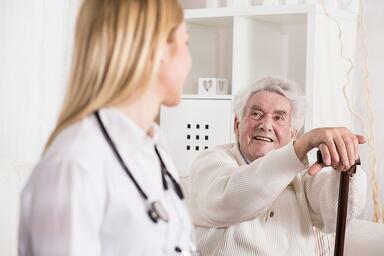 They are considered companions rather than skilled care providers. If your loved one has serious or chronic health care problems, they may not be the right agency for you. If you decide to look at out-of-home respite care, you’ll want to factor in other information, such as the senior to caregiver ratio and the type of training provided. You’ll want to visit the facility to find out about security and other issues that may arise. Pay attention to the cleanliness of the place as well as the friendliness of the staff. In fact, you’ll want to look at many of the same criteria as if you were leaving your loved one in a long-term care facility. Make sure the staff are prepared for various situations, especially those that relate to your loved one. If it’s possible, ask questions about particular situations to help you determine if this person is qualified and able to provide the level of care your loved one needs. For example, you might ask what they would do if they walked into your parent’s room to find them missing. This is a real concern for people with dementia, and you want to know they will be prepared for these types of emergencies even if it is for a temporary time. The cost for respite care can vary from one provider to another. If the person doesn’t require one-to-one care, it may be less expensive than other forms of care. Often, the costs are calculated based on the services provided. For instance, a person who requires assistance with bathing, dressing and feeding will need more care than someone who will have companionship. Make sure you find out the costs before you commit to a provider. You’ll also want to think about options for paying for respite care. Some insurance companies pay for respite care as part of long-term care insurance. Veterans benefits often include respite care as part of the covered expenses. Once you receive a quote from a respite provider, make sure you know what is covered in the price. Some tasks may be considered extra, such as taking the person to a doctor’s appointment. You don’t want to wait until you’re billed to find out the entire cost is over your budget. 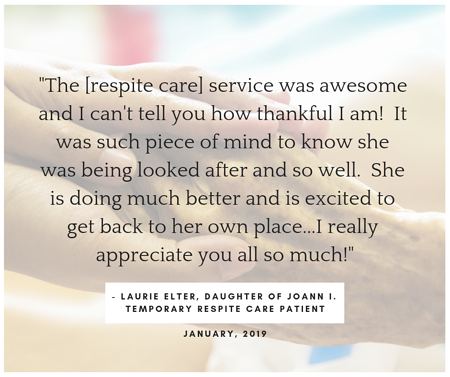 Respite care is a valuable resource for families who are responsible for some or all of the care of their senior loved ones. It is also helpful when an independent senior is temporarily unable to manage all of their own tasks due either to illness or injury. Before searching for respite care, you should be aware of what it is, what it covers and how much it costs. Once you have the facts in front of you, making a decision which is best for your loved one is much easier.